Welcome to the highly sought after street of Mader Lane! Located in the heart of North Delta, pride of ownership is evident throughout this 6 BD, 4 BA home on a sprawling 8,600 sq ft lot. Boasting 3 BD 2 BA Up and highlighted by an open concept main floor plan featuring a bright spacious kitchen overlooking the family room. Below features a LEGAL 2 BD SUITE PLUS AN ADDITIONAL SIDE LIVING AREA with its own BA and BD! Perfect for an in-law suite! Lots of parking w/ double garage and extended driveway (6+ cars)! Enjoy your fully fenced and private yard in this great neighbourhood. 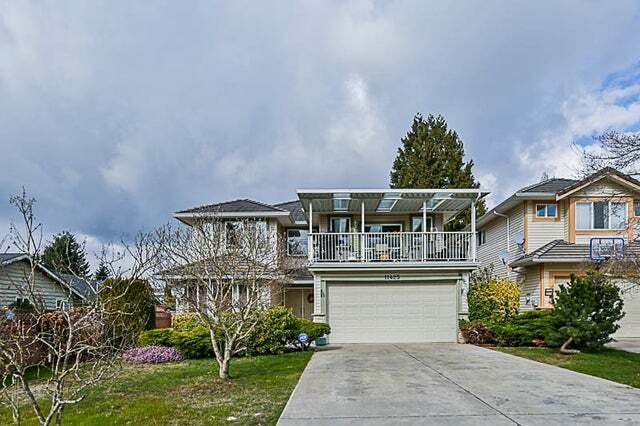 Close to both levels of great schools and just a 5 min drive to Alex Fraser. Hurry on this one!